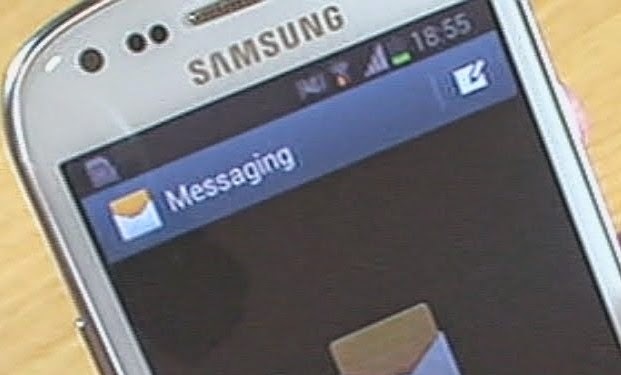 This article is purposely created in respond to our readers who have relayed to us a problem with their Samsung Galaxy S3, which is associated with messaging. If you too have encountered the same problem with your device, then you can also refer to this guide and give any of these given solutions/workarounds a try. There are several factors you need to consider if you happen to have trouble sending messages like image or video message. Among the most common causes include data blocks on the account, messaging blocks, out of network coverage area, and incorrect data usage settings. Let's try to check every possibility so we can isolate the problem and determine the right solution we aimed to obtain. Please don't forget to test your device after performing each of these steps to see if the problem is already fixed. Otherwise, proceed to the next method when necessary. 1. Verify your account for possible data blocks. This is applicable only to Postpaid accounts. If you can't receive messages or download apps, then it's a good start to check your account status and verify for data or service blocks. You can verify it online through your carrier's official website, or just call customer support to assist you further with account status verification. For example, Verizon subscribers who are having the same problem while attempting to send/receive a message can go to Verizon website and log in to their accounts. Data blocks information can be found under My Verizon -> My Plans & Services -> and then Manage Verizon Family Safeguards & Controls. In this section, you can View Details & Edit option located on the right under Block Services. Just search for and choose the block(s) you want to check and then click Continue to proceed. Generally, the only the account holder can make changes to the account settings. Another possible reason as to why you can't send or receive a message on your device is the temporary messaging block feature enabled in your account. Perhaps, you have previously activated a temporary block to stop unwanted calls and messages and that number is included in the list. So, try to check. If the number is there, then you can just remove it from the list by logging in to your account online through your carrier's website. Otherwise, please contact customer support for further assistance on updating call & message blocks. 3. Make sure you are within your network carrier's coverage area. Sometimes, you would not be able to send or receive a message when you're out of your network coverage. 4. Verify iMessage and make sure it is unregistered. Among the common indications that you may need to deregister iMessage include unable to receive SMS on your non-Apps device when the sender is using an iPhone, unable to send SMS to non-Apple device because they are being sent as an iMessage, which is not supported by the receiving device. If you have encountered any of the aforementioned symptoms, then it's likely that your phone number might still be registered with iMessage. This means you need to deregister iMessage. Follow these steps to deregister or turn off iMessage on your device. a. If you still have your iPhone, transfer your SIM card to your iPhone, then go to Settings. Next, tap on Message, then turn iMessage OFF. b. If you no longer have your iPhone, then you need to log in to Apple website to deregister iMessage with your phone number. You will have to enter the phone number you want to deregister from iMessage and then a confirmation code will be issued. You will use that 6-digit code to confirm deregistration. 5. Verify Airplane mode and ensure it's OFF or disabled. Your device won't be able to send or receive phone calls or use any data service while the Airplane mode or Standalone mode is enabled or activated. a. Press and hold the Power button with the device powered on. b. Select Airplane mode. If it's on you'll see the radio button is ON, otherwise is OFF. Be sure it's OFF. c. Select OK when done checking/editing settings. 6. Ensure data is turned on or enabled. a. Tap Apps from the Home screen. b. Select Settings from the Apps tab. c. Select More settings from the Wireless and network section. d. Tap on Mobile Networks. e. Select Mobile data. You will know if it's enabled if the check mark is present. f. Ensure it is checked then select OK.
7. Verify data usage settings. c. Select Data usage under Wireless and network section. d. View data usage information. Please contact your carrier to verify terms of data usage and resetting mobile data limit for your account. 8. Perform a soft reset. Oftentimes, a soft reset helps solve a device problem including temporary messaging issues, so if you haven't done this yet, then you might give it a try this time. a. Press and hold the Power button until the Device options prompt. Alternately, you can perform a soft reset by removing the battery for 30 seconds, then re-insert the battery after the time has elapsed, and power on the device. 9. Verify the phone number you are dialing/entering is the correct number. This thing is often overlooked so make sure you're not missing this. Be sure to enter the correct 10-digit mobile number or email address when sending a text/picture message. Carefully check the spelling, and use of special characters (for emails) and area codes (for phone numbers). 10. Check the file size of the message. Sometimes, you will not be able to send or receive a message if that size of the message has exceeded the maximum file size for photo or video messages for your device. The maximum file size you can send/receive for basic devices (1x capable) is 350 KB (kilobytes), 500 KB (kilobytes) for basic devices (Rev O EVDO) and 1,200 KB for basic devices/smartphones/tablets that are 3G or 4G LTE capable. Lowering the camera resolution can help reduce the image file size. The maximum file size that can be sent from an email to a device is 3MB. 11. Check your device available memory. If the phone memory gets full, any unused items like apps, pictures, videos or music files may be removed from the phone. Clearing RAM or random access memory can also help resolve memory issues with the device. b. Tap Settings from the Apps tab. c. Select Storage from the Device section. d. View Available space from the Total space section. 12. Check for any available software update for your device. c. Select Software update from the System section. d. Tap on Check for new software update. You can also try to check the device in safe mode or put it in a diagnostic state to return to default settings, and determine if a third-party app is causing an issue. To run the phone in Safe mode, press and hold the Power button with the device powered on. Keep pressing and holding the Power button until the Phone options show. Select and hold Power off until the Restart in Safe Mode prompt shows, then release. Tap on Turn on Safe Mode and wait for the phone to restart in Safe mode. It may take up to 45 seconds to restart. Upon restart, you will see Safe mode shown in the lower left of the unlock/home screen. You can now start testing the device and app functionality with safe mode. If the issue fails to occur, then the cause is isolated to an app that needs to be uninstalled or removed. Power cycle or restart the device to exit Safe Mode and then re-install app and test one at a time to identify which app is the culprit. If all the aforesaid workarounds and resolution methods have failed to resolve the problem, then you may consider performing a hard reset this time. This should be your last option given the factd that doing a factory data or hard reset removes or erase all personal information stored on the device. Although it has been known to fix several device issues including hardware-related and app-related problems. Before you start performing a hard reset, be sure to back up all your important files so you can just retrieve them later. Personal data like Wi-Fi passwords and browser bookmarks can be backed up to Google servers. c. Tap Back up and reset from the Personal section. Uncheck the option to Automatic Restore to determine if a third-party app is causing the problem. d. Tap on Factory data reset from the Personal data section. e. Tap on Reset device. If prompted, enter the current password or draw the pattern to unlock. f. Tap on Delete All. Wait for a few minutes for the hard reset and reboot to complete. After the reset, you can setup the device and see if that has fixed the problem. Hope any of these works for you.